Did Trump-Putin 2016 hack the DNC? Donald Trump praised Vladimir Putin and appeared to defend the autocratic Russian president when pressed about his alleged killing of journalists and political opponents critical of his rule. One day after Putin called Trump a “bright and talented” and the “absolute leader of the presidential race,” the Republican presidential front-runner returned the compliments, hailing Putin as a “leader” and pointing to his high favorability numbers in Russia. “I think our country does plenty of killing also, Joe, so you know. There’s a lot of stupidity going on in the world right now, a lot of killing, a lot of stupidity,” he said. Trump also suggested that as president he would herald a new era of relations between the U.S. and Russia, which have plummeted to levels not seen since the Cold War, experts say. 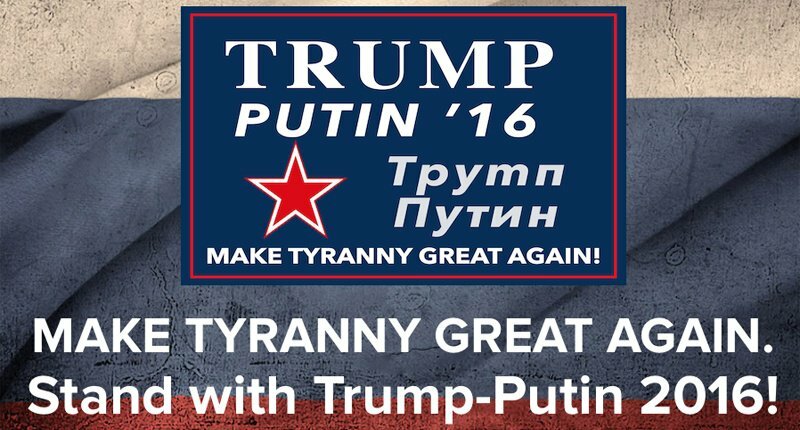 This effusive praise of Russia’s autocratic leader led Ohio Governor John Kasick to launch a ‘Trump-Putin 2016’ website, and to this ad, Trump/Putin 2016, “Make Tyranny Great Again”(video). Russian President Vladimir Putin has spoken favorably about Trump, who has called for better relations with Russia and expressed skepticism about NATO. 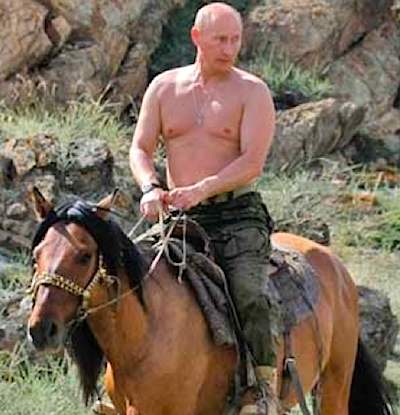 So the burning question on everyone’s mind today is whether Vladimir Putin has been sharing the Democratic Party’s opposition research with the campaign of his good buddy, Donald Trump. Can you really say it is beyond the realm of possibility, even if it is improbable? Inquiring minds want to know. The firm CrowdStrike identified two separate hacker groups, both working for the Russian government, that had infiltrated the network, said Dmitri Alperovitch, CrowdStrike co-founder and chief technology officer. The firm had analyzed other breaches by both groups over the past two years. 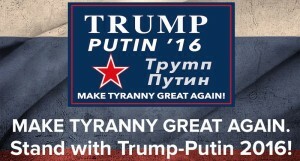 Is it true that Putin has the main speaker slot on the third night of the Republican convention? TRUMP would not hack himself!